Our boutique real estate business offers a specialised service covering the seaside suburbs from Mt Pleasant through to Sumner & Scarborough. In such a vibrant community, the team knows the importance of energy & local knowledge. We have the mindset of success. Call us today to discuss your property requirements either as sellers or buyers. You don’t spend 39 years in real estate without learning a few things, so it’s fair to say there’s not much about the industry that Rob McCormack doesn’t know, or hasn’t seen before. And one of the most important of lessons, he believes, is that real estate is not so much about property, it’s more about people. 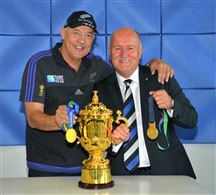 It was Rob’s sincere, on-going interest in people that first lead him to a real estate career in 1979 and it’s his ability to forge genuine connections with them that helped him become, firstly, one of the most successful sales consultants in New Zealand and then franchise owners in New Zealand, not just in Harcourts, but in the country. As well as that wealth of knowledge, Rob, who was inducted into Harcourts Hall of Fame in 2004 and named a fellow of The New Zealand Institute of Management in 2005, is known for the boundless energy and enthusiasm which he brings to the business – as well as to his fishing trips or enjoying a few beers with his mates. Rob has two Schnauzers and a dedicated wife of 47 years. He set up Harcourts Grenadier in 1991, and has seen it rate consistently at number one in its group for Harcourts in New Zealand before rising to be the number two franchise and number one office world wide by 2015. These days Grenadier has grown to eight offices and a team of over 200, but Rob’s level of availability, commitment and passion is the same as it was in 1979. He’s at work every day by 6.30am leading by example when it comes to the importance of goal setting, persistence, connection with clients, and committing to excellence in business practices. Success for Rob is seeing his people grow and find their own success; and seeing them develop their own commitment to providing the best levels of service, and the best possible outcomes for their clients as they buy and sell their homes. 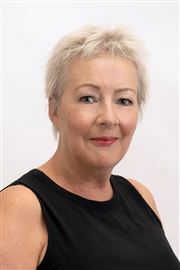 Alison Carter – ‘Hill and Seaside Specialist’ If the name sounds familiar, it’s because Alison Carter has received acclaim and recognition since day one of her Real Estate career. Ranked Number One Salesperson in the Ferrymead office every year since she began there in 1995 she has consistently featured amongst the city's, and indeed the country's top performing agents. With a sales and marketing background, she’s a highly driven and motivated professional. Representing New Zealand in Water Polo has given her a competitive edge and with this she also brings a refreshing mix of energy, friendliness and expertise to Real Estate. While working city-wide, Alison’s specialty is in hill and seaside properties and living locally gives her clients the added benefit of being able to reach her easily and quickly when necessary, and provides Alison with an intimate knowledge of her specialist area. Alison’s success has come about through hard work, being proactive, having innovative marketing skills, the ability to think laterally, and a strong desire to continually achieve fantastic results for her clients. She employs a full-time P.A. to look after the IT and administration side of the process thus leaving Alison free to be a ‘hands on’ agent, who prides herself on responding quickly, and exceeding expectations. This versatility has seen her deal in all manner of properties – from first home buyers to investors, from developers to those seeking luxury properties. With such a diverse range of clientele Alison has had to learn an equally varied skill set, and her clients are the beneficiaries of a wide service encompassing expert advice on presentation, interior design trends, council regulations, and building codes, to name but a few. Alison has proven time and time again to be the very best. And when dealing with your biggest asset, don’t you think you deserve the best? If one word could sum up Carol Williams approach to Real Estate, it would be ‘sincere’. “I love getting to know my clients”, says Carol, “and developing a real understanding for their situation, their motivation, and the results they need to achieve. I believe I succeed when my clients succeed.” Carol’s highly tuned interpersonal and communication skills place her in the ideal position to be able to negotiate a pathway through the process of buying and selling property. With her ability to relate to a diverse range of people and her cheerful, positive and calm nature, Carol ensures her clients are informed, confident and at ease throughout any transaction. “I’m very tenacious”, she says, “I am persistent and committed, and will keep going until I achieve the desired results.” Carol is immensely proud of the fact that the bulk of her work comes from repeat clients and referrals. 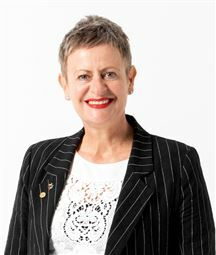 This has lead Carol to be acknowledged with several awards in the Harcourts Group over the past decade. 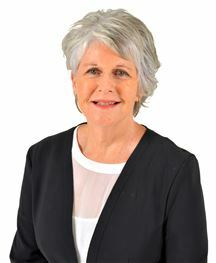 “I’ve always remained true to old school values with regard to treating others with respect and honesty”, says Carol “and as a result I have met some wonderful people and made great friends throughout my Real Estate career.” Deriving huge satisfaction from helping her clients begin new chapters in their life, Carol is the ideal person to help sell your home if integrity, reliability and tenacity are attributes you hold dear. When you’re selling your home there are many decisions to make – from the price you’ll ask and the date you’ll leave to how many open homes you’ll hold each week - but none will influence the end result more than the choice you make at the outset, when you select a salesperson to work alongside. Finding the ideal person to take your property to the market is crucial. Not only do they need to have the right skillset; they also need to understand you and your situation, recognise the unique selling points of your home, and possess the drive and determination to achieve the best result possible. 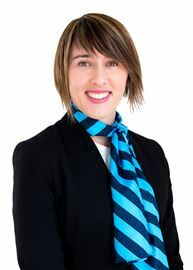 Kirsty has been in the real estate industry since 2009, during which time she has encountered people from every walk of life. Thanks to an ability to empathise and a willingness to adapt her thinking Kirsty been able to connect with every one of them, forging strong relationships and contributing to the fantastic results they’ve achieved. As part of the Grenadier Group Kirsty has Harcourts’ powerful network and world-class tools at her disposal (not to mention the support of an award-winning team), and she utilises those resources on a daily basis. Kirsty is a passionate person; a proud Cantabrian who is inspired by the infinite possibilities on offer in this great city of ours, and who loves helping people bring their real estate dreams to life. 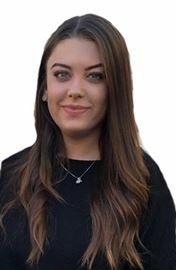 Feel free to get in touch with Kirsty, she would love to chat about your property needs! Awarded REINZ Personal Assistant (Non Selling) of the Year for New Zealand 2017 Megan joined Harcourts Grenadier in 2010 at the age of 18 and became very passionate about the industry. 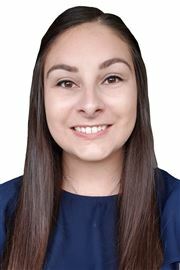 With her mother being a Sales Manager for retirement villages for 1990 and Megan working alongside salespeople from a young age, Megan has gained great knowledge around real estate and sales, furthermore getting her real estate license in 2015. 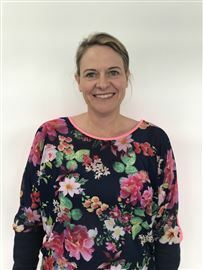 Megan is a highly motivated individual with boundless energy, loves a challenge and embraces any opportunity to step outside the square and try something new, recently competing in the Christchurch Half Marathon. Megan manages Team Carter's office, has an eye for detail and provides exceptional IT support and organisation of day-to-day needs in the real estate business. 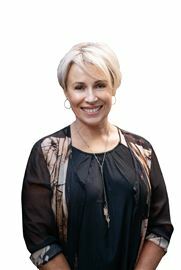 Michelle Ward has built a hugely successful career in Real Estate on the back of hard work, commitment and a personal pride in doing the very best job she can. Over the years she has built an ever-expanding network of clients, due to the exceptional results she achieves and the efforts she goes to, to make the experience as seamless and stress-free as possible. Many of Michelle’s clients have returned to her time and time again for their Real Estate transactions and refer their own friends and family to her. That’s the greatest testament that Michelle could ask for; proof of a job well done! Whilst Michelle has many years’ worth of experience and knowledge in the real estate market, she absolutely embraces change and innovation. Michelle employs leading edge technology and a team of specialist staff to ensure that every property is marketed in a unique yet professional way. It would be fair to say that Michelle takes her job very seriously but she also likes to have fun while doing it! She is mindful that selling and buying property can be a difficult time. But her friendly nature and sense of humour shine through and help put people at ease; whether she is meeting buyers at open homes, creating one of her specialised marketing videos or working with vendors, it’s her very personal approach that makes a difference. A Sumner local who knows and appreciates all that this beachside suburb has to offer. With values based upon family, a sense of community, and integrity, Prue is surely the person to help you find your next home. A great listener with an innate ability to understand people, her fun, dynamic personality ensures that working with Prue is refreshing and enjoyable. Keen to see you happy with your move, Prue listens very carefully to your “wants and needs” (and your wish list!) then helps you find your next home. As she has immediate access to any new Harcourts listing even before it’s advertised, and with a far-reaching network of contacts to learn what might be coming to the market, liaising with Prue now will save you a lot of time. Prue Can Do It For You! Shaun Davey has a passion for unbreakable business relationships, to him communication is key to all parties involved in real estate. Shaun commits himself to obtaining the absolute best results for buyers and sellers to allow them to achieve their dreams and goals, with minimal stress and fuss. With a background in Sales and Account Management Shaun has had the pleasure of working with amazing clients all over the world. He prides himself in being approachable and focused so as his client you can be assured he will search far and wide for the buyer and property for you! Here at Harcourts we continuously hold 50% of the market share in Christchurch, achieving fantastic results for our sellers and dealing with more buyers on a day to day basis than any other Real Estate agency. Shaun goes the extra mile to provide you with exceptional service, you wont forget! Call Shaun today to find out how he can help you. Vendors Purchased - Must Sell! Offers Wanted - Needs to go! 'As is Where is' Opportunity! Big Deal "As is-where is"
Park View - Great House Too! Two Houses Is Too Many! Buy today - Build tomorrow!